Stuff like announcements, sermon notes, thoughts and more from Pastors Nick and Jill will be here to encourage and challenge the life of faith Jesus calls us all to live! 3Cers and anyone in the Battle Creek area without a church to call home...we are now meeting at Calhoun Christian School (20th and Territorial) and are super stoked about it! Look for our 3C signs on 20th OR Woodrow Street. This Sunday we are honoring and celebrating our graduates. We look forward to connecting with you soon! The Bible says to give thanks in all things. For some, 2017 was a better year. For others, well, here's to 2018. In any case, when our focus is on Jesus, we can express our gratitude. We'll do this through singing, communion, and being encouraged and challenge with a short message talking about "The Process of Breakthrough"! The holidays can be full of emotion and feeling from each end of the spectrum, and everything in-between. In any case, there is something about coming together. We are excited about two different Christmas experiences for The Creek...If you do not have a church home, we would love to meet you at one or both of these events. 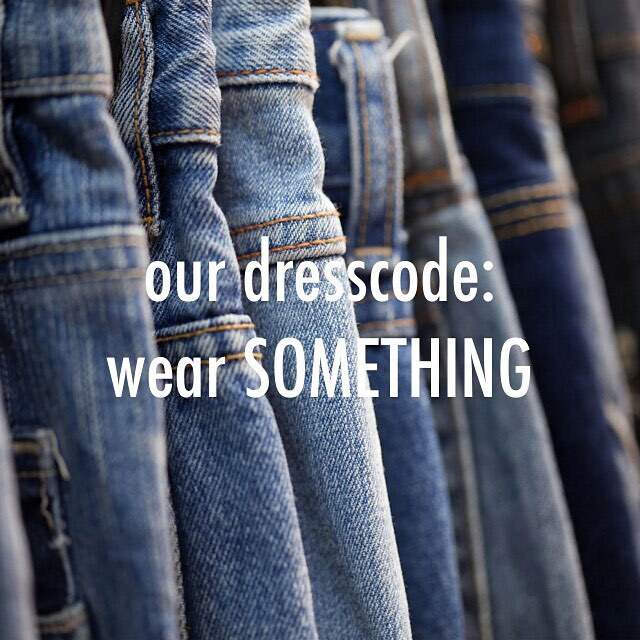 And remember our dress code...just wear something! I grew up going to church pretty much every week. Sunday morning, Wednesday night youth group and occasionally Sunday night was normal. At some point in my tween years, I remember asking two particular people that my brother and I were spending the weekend with if they could take us to church and go with us. They didn't attend church themselves but said "sure". My brother and I wore our normal attire that included jeans, a shirt and shoes (can't remember at the time if the preference was boxers or the other ;-) The people we were with wore their Sunday best including a suit and tie, and a nice dress. What happened next is burned in my mind forever. An usher (dressed in a suit himself) greeted us right inside the sanctuary. As he was ushing us to our seats he said "well it looks like you finally got them in church". He was referring to my brother and I while looking intently at the people we were with. He assumed those that looked the part on the outside were regulars while those that did not look the part were "finally" in the building. Strike one. I wrestled with that, probably with some form of frustration or anger, for a long time. Early on in full time ministry as youth pastors (my early-mid twenties), I remember the occasional times I wore a suit on Sunday. I remember because people that normally didn't pay attention to me all of sudden noticed me and acknowledged my presence. I thought I was the same person each week. Strike two. I will admit, for a season, I intentionally rebelled against those that felt the same as Mr. Ush. I learned the hard way to not do that. I've learned that some people's "norm" of wearing a suit and tie is perfectly fine and if I was ever to be under leadership that mandated this dress code again, I would happily oblige. So there will never be a strike three for me. Whether you are a three-piece-suit/dress person or a jeans and t-shirt with converse person, you are a person. I happen to be the latter, tho I do mix it up and go all out with some nice shoes and a button up shirt at times. You are a person that matters to Jesus, is loved by Jesus and can be used by Jesus. You are a person that has a place in the church. And if you happen to be in the Battle Creek MI area, you have a place at Connect City Church. We are in an exciting season at 3C and in Battle Creek!! Check out the 3C:Next tab for all of our upcoming event and ministry opportunities. Hundreds of years ago, God told Abram in Genesis (13:14-15) "Look as far as you can see in every direction - north and south, east and west. I am giving all this land, as far as you can see, to you and your descendants as a PERMANENT possession." We have been looking at and praying for the North, the South, the East and West corners of Battle Creek believing for different opportunities to connect with people as it relates to the life of faith Jesus calls all of us to live. We are PUMPED for this season as we continue to move forward doing so. Charlottesville. New instances of age-old issues aren’t any less important, sad, tragic, confusing and wrong. The demeaning of life and/or loss of life, from anyone, to anyone, is horrible. When hate is spewed, things always become unglued. From the moment Adam and Eve bit into the forbidden fruit bringing sin into the world, sin’s goal has and always will be to choke out life mentally, emotionally, physically and spiritually. Jesus didn't run from culture or societal madness...He came for it, died for it, came back to life for it, and influenced people towards things of His Kingdom. As people of faith, we are in this world to do the same. You are sanctified and set apart to influence others towards Jesus. "Sanctify" means to "make holy (mentally, emotionally, physically and spiritually pure), to be whole, separated from evil and dedicated to God, for His purpose". Kylah recently had the opportunity to preach a 5 minute sermon she wrote. In it a strong point was made - "Being spiritually full helps direct our physical actions." Make sure you eat (bite off, chew on and digest) the Word daily to help direct your words and actions. We'll talk about this more on Sunday and we are looking forward to being with our 3C fam then! | 10:30am | McCamly Plaza Hotel | Downtown Battle Creek, MI | Bring someone with you! Check out the latest family update announcement here! Two Sundays ago we announced that we will be moving our Sunday meeting location to The McCamly Plaza Hotel in downtown Battle Creek...and we are so excited to do so! We are super thankful for the building we have been able to permanently rent over the past two years. This really helped in building the core of 3C through people connecting with each other in various ways. In short, "we are who we are no matter where we are"! Our mission, "We exist for the cause of Christ and benefit of others" and vision, "We see people Connecting with God and each other, Committing to His Kingdom and the local church, and being Carriers of God's love to the city" remain what we are committed to. One of our core scriptures is 1 Thessalonians 2:8 "We loved you so much that we shared with you not only God’s Good News (His Word, the gospel) but our own lives, too. This is our commitment to Battle Creek and beyond. The general timeline to transition to The McCamly Plaza is sometime in August. Join us every Sunday at our current meeting place, 601 Riverside, for our "In The Creek With A Paddle" summer series. Then stick around for the short "family update" meeting as we talk about progress and more. Great things continue to happen in and through 3C and Battle Creek...3C for BC! We had a really encouraging service this past Sunday as we celebrated turning three as a church...three people were water baptized and four people (via video testimony) shared their story of where they are at in their faith journey. Everyone was challenged to PRAY more, SERVE more and GIVE more in faith that God will continue to reach people in and through Connect City Church. We are not coasting into year four...we'r kicking it to the next gear and pedaling harder! Romans 10:1 (NIV) says "Brothers and sisters, my heart’s desire and prayer to God for the Israelites is that they may be saved." Paul's heart is for his people! Our "In The Creek" version says "Brothers and sisters, my heart’s desire and prayer to God for The Creek is that they may be saved!" Our heart and prayer is for our people...people who live in The Creek and surrounding areas, to be saved! My Part Of The World. This place is busy, as it normally is when we're in this part of the state. I am fortunate to be sitting at a small table. I'm surrounded by people and we're all making quite a bit of noise. I'm sure there are students here, studying hard. I'm sure there are business women and men, some of which are probably making more money while they sit here than I do in a month. For others, perhaps this moment is a treat. A $5 cup of goodness is rare and they are soaking it in. Some people are here just to enjoy each other's company...whether they do this once a week or once a year. Still, others are flying solo for the moment. Everyone is making noise doing something (almost forgot the noise of the coffee machines!). My thought right now? We are all alive. The noise proves it. We all have an opportunity to contribute to the world around us. Your world...where you are at right now while reading this, is affected by what you are doing. It's affected by how you are living. It's changed by the thoughts you are thinking and the choices you are making. This world, your world, is impacted by the noise you make. This place we call home is altered by how you treat others, and treat yourself. The part you play matters. Brian Houston (Global Pastor of Hillsong Church, based in Australia) said something that has been at the forefront of my world for a while: "The part you play is not greater than what you are part of". #truthistruth and there is a lot in that statement that has encouraged and challenged me. My "extra-shot of espresso" add-on: "Never doubt though, that the part you play can be what introduces others to what you're part of." The noise your faith makes, matters. 1 Peter 1:13 (NIV) says "Therefore, prepare your minds for action; be self-controlled; set your hope fully on the grace to be given you when Jesus Christ is revealed". Faith is active...it's demonstrated in our thoughts, actions, habits, speech, lifestyle and legacy we leave. You are alive. Your faith is alive. YOU CAN follow Jesus and actively pursue the reasons you are here for! Kill em all, let God sort em out! OR... Forgive? Whoa....one of my childhood dreams has come true. So, if you made it this far in this blog, there are two groups of people. A. 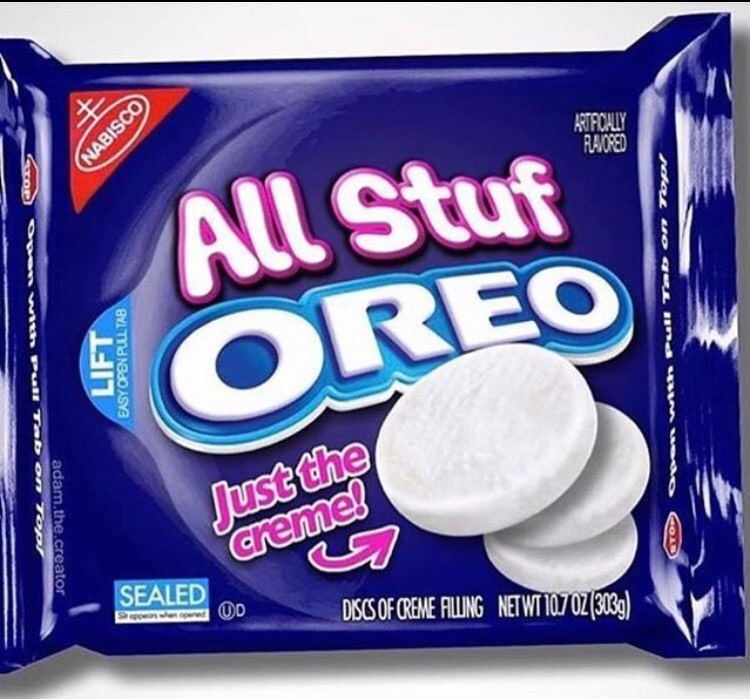 One group is salivating and have not been able to stop thinking about enjoying a bag and a half of these...you might even be on your way to the store. B. The second group is thinking through this, looking at the angles and making a sound decision on the reality of this based on the wisdom God gives us all (If you are part of the first group, no worries, we all get excited about different things). God's Word says "Let the wise hear and increase in learning, and the one who understands obtain guidance" in Proverbs 1:5. Some people reading this understand that today is April fool's day. Honestly, my heart skipped a beat when I saw this picture on twitter (original creator unknown). Join us tomorrow for week two of our teaching series "Raised To Life", which, ironically, is on forgiveness! Welcome To The New 3C Website! We are so excited to present our newly designed website. As you can see, it has a fresh new look and easy navigation to help you get the information you need quickly and efficiently. Many thanks to the ChurchSpring team for helping us launch such a beautiful new church website, for HIS glory! Connect City Church's mission is help connect people to God and each other, commit to His Kingdom and the local church, and to carry His love to the city and beyond. Please let us know how we can help you! There's still a lot of information to be added, and we hope to keep the site fresh and up to date. If you have any ideas about how we can improve the site or use it better, please leave a comment below. If you're a first time visitor to our website, we would love to have you visit our 3C this Sunday. You'll get a warm welcome and an encouraging and challenging message. Feel free to browse our new website and get to know us. If you have any questions please do not hesitate to give us a call at 269.223.7182 or send us an email. Peace and blessings, and welcome to our new church website!